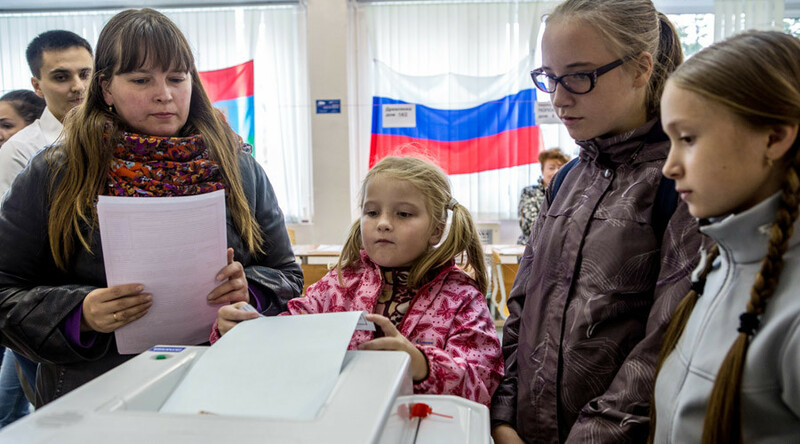 The Russian government has rejected a proposal to allow 16-year-olds to vote in elections, claiming that people under 18 are still immature and do not fully understand the principles of democracy or taking responsibility for their actions. The bill lowering the voting age from 18 to 16 has been prepared by two MPs representing the populist nationalist party LDPR. Both lawmakers, Vasily Vlasov (21) and Boris Chernyshov (25), are themselves rather young. In a note attached to the bill, its sponsors explained that they wanted to include the younger generation in the political process and also increase voter turnout. They also mentioned other countries, such as Nicaragua and Brazil, where the minimum voting age is 16, as well as the recent referendum on Scottish independence where the minimum voting age was also 16. However, in the official review of the draft, government experts wrote that most nations only grant voting rights to citizens who have reached the age of 18, and the UN Convention on Children’s Rights defines a child as a person under 18, unless national laws differ on the age of adulthood. They also added that the current voting age of 18 is due to the fact that elections are a way to form bodies of state power and authority, and this requires a certain level of independence from the people who participate in it, as well as a certain level of maturity and understanding of basic political processes. Deputy Head of the Lower House Law Making Committee, MP Vyacheslav Lysakov (United Russia) said in comments with RIA Novosti that his committee had not yet considered the bill, but he personally was opposed to it. In late 2014, LDPR came up with the proposal to lower the voting age in Russia to 16 years, claiming that it could legalize young people’s participation in politics and vent off the energy that could fuel anti-government protests. “It is known that the younger generation is the main target of manipulators who operate with the ‘orange’ [revolution] technologies; they are the main backers for those who organized Maidan and Bolotnaya. Young people get involved in protests mainly because they have no election rights and cannot participate in political processes,” said one of the authors of the proposal, Andrey Didenko. The State Duma, however, rejected the motion without parliamentary hearings, saying that the current voting age matched the age of full criminal responsibility and was normal and correct. LDPR’s tenacity in promoting the motion concerning the minimum voting age could be explained by the fact that a large part of its supporters are young people. For example, 55 percent of students support LDPR in elections of all levels, and leaders of the party have grounds to suggest that older schoolchildren would demonstrate the same behavioral pattern.